After law school, Mr. Solak entered law practice with John McCune at Front Royal, in Warren County, Virginia, handling a variety of civil and criminal trial matters. In 1983 Mr. Solak was elected Commonwealth’s Attorney (State Prosecuting Attorney) for Warren County, and in that position prosecuted hundreds of trials, both jury and non-jury, for offenses ranging from felony murder to misdemeanor trespass. As Commonwealth’s Attorney, he acted as the chief law enforcement official for the county and provided legal guidance, opinions, and training to state and local law enforcement agencies. In 1988 Mr. Solak left the Commonwealth’s Attorney office, and established his law practice at Berryville, in Clarke County, Virginia. Maintaining a busy trial practice, Mr. Solak has defended a number of significant criminal cases, one of which Pugliese, 16 Va.App. 82, 428 S.E.2d 16 (1993), became the source instruction for one of the Virginia Model Criminal Jury Instructions used by all Courts in Virginia. 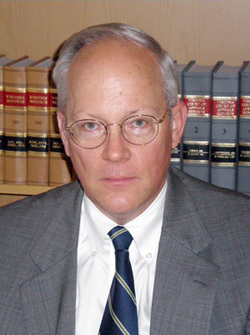 Also in 1993, Mr. Solak became one of the few attorneys in Virginia to successfully defend a charge of Capital Murder. After a five day jury trial in Clarke County Circuit Court, the jury returned a verdict for Attorney Solak’s innocent client of NOT GUILTY on all counts, including Capital Murder. With more of Mr. Solak’s cases coming from Winchester and Frederick County, Mr. Solak relocated his law office to Winchester, Virginia, in 1997 and he has practiced from Winchester since that time. Mr. Solak is a very compassionate and competent attorney, I would trust my family in his legal care. ~Nancy A. Thank you for representing me in one of the worst challenges of my life. You and your assistant were more than professional. ~Rita A.